I created Mac Book Pro Mockup Perspective psd template. You can to scale it according to your use. 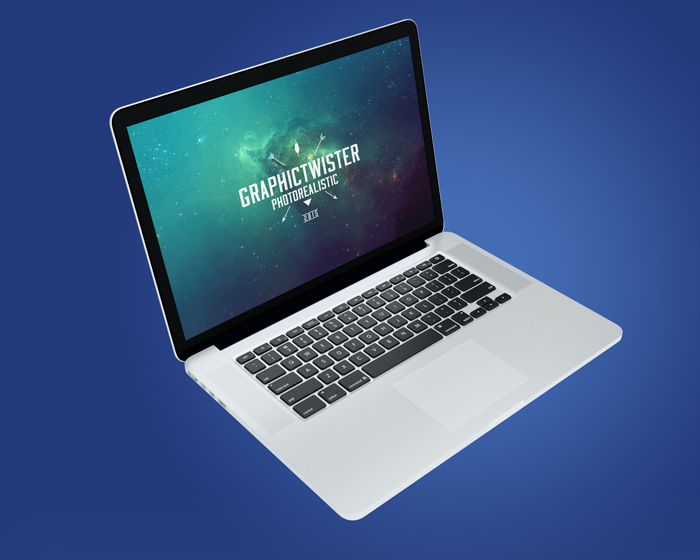 Thanks to smart layers you can quickly apply your design on Mac Book Pro psd mockup screen.